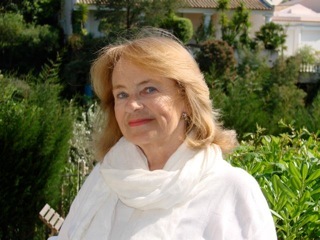 My first guest post of the year and I’m delighted to welcome today my friend and very talented writer, Jennie Bohnet, to talk about her writing life. 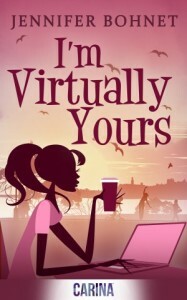 Her latest book, ‘I’m Virtually Yours’, a novella about a virtual assistant has recently been released by Carina UK. I’m originally from the West country and now live in rural Brittany. I’ve always written but it took years, lots of rejections and a move to France before my fiction took off. Before then I wrote non fiction pieces and life-style features for newspapers and magazines in the UK. Where did the idea for ‘I’m Virtually Yours’ come from? How long did it take you to write? I belong to an online journalism forum and somebody there posted about being snowed under with work. Another member offered to be their virtual assistant and the idea grew from there. It’s a novella so not long to write – about a month I guess but then there was the editing etc and when Carina UK accepted it they wanted it lengthened by about three thousand words. I know that you’ve written many short stories and serials. When writing a short story, and when writing a novel, do you use different plotting and outlining techniques? I’ve always been what is described as a ‘panster’. Sit down with an idea, start and see where the story goes but recently I’ve tried to be a bit more of a plotter with both short stories and novels. By that I mean I now have the beginning and some sort of ending in my mind before I start. I wish I could be like some writers who plot things out chapter by chapter before they start. I just can’t write like that. I find mornings are my best time to write and yes, I do try and write every day but don’t always succeed! I’m starting 2014 determined to improve my output and reach my daily target of 2000 words on a more regular basis! 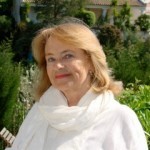 I’d love to be a best selling author – wouldn’t we all? I write the kind of book I enjoy reading and I find contemporary woman’s fiction that deals with relationships of all sorts the most interesting to read. I prefer emotional conflict in a story as opposed to crime or gung ho conflict. Pop song? Not really into pop – does anything by Michael Bublé count? Food? I’m going for a dessert here – Tiramisu.